Canada is the second largest country in the world by area. Canada is the second-largest country in the world by area. But, when it comes to wines, the country is not so obvious on the world wine map. By this, we are not coming to say that the country is not capable of producing wines at all. There are so many vineyards in Canada that are capable of producing quality wines. Moreover, the country has a long winemaking history, which can be dated back to over a thousand years. This makes it quite clear that wine is not new to Canada. It’s been there for quite a long time but just that it didn’t come to limelight among the world wine lovers. As mentioned earlier, the history of Canadian winemaking can be dated back to over 1000 years. It is believed around the 1000 AD, the Viking explorers encountered the native wine producing grapes here in large numbers. It is also believed that the species Vitis riparia has influenced those people to name the land they discovered as Vinland. It is not clear whether Scandinavian settlers ever produced wine from the native grapes here. If they did, they would have been the first winemakers of North America. Later, the European settlers attempted viticulture in the country during the 1800s. This attempt gave them only a little success as they tried producing wines from the Vitis vinifera species that they imported from Europe. Due to the extreme weather conditions in Canada, the winemakers had to turn to the native species for winemaking here. Most of the wines, thus produced were described by the consumers as musky or foxy. 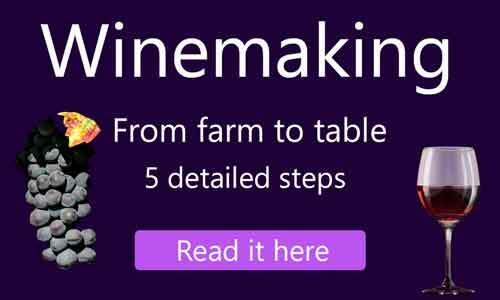 The practice of sweet winemaking was also persisting in the country. While the Canadian wine industry was thriving like this, the Canadian Prohibition had a mixed impact on the wine trade. After all these ups and downs, the Canadian wine industry started seeing an important development from the year 1988. Despite the country’s larger geographical area, the annual wine production of Canada is accounting for just 2% of that of the U.S till date. The Canadian wine industry largely depends on four provinces. Of these, Ontario and British Columbia are the major producers accounting for almost 98% of quality wine production. The other two are Quebec and Nova Scotia. 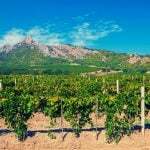 These are slowly evolving as winemaking regions with a small but loyal market. The two brand new regions that are showing some development in viticulture are the Fraser Valley and the South Georgian Bay. It has been observed that some of the viticultural areas in the country are experiencing hot and humid summers with extremely cold winters. Also, all the key viticultural areas of the country are found to be located close to the climate-moderating water bodies. We could see that this topographical nature of the areas is the main reason for the survival of vines here. Collectively, we can say that the climate of Canada is largely influenced by the water bodies (oceans and lakes). In the wine portfolio of Canada, we can see that the important spots are already occupied by the Cabernet and Riesling varieties. Apart from these, the major focus is on the other vinifera varieties like Chardonnay, Pinot Noir, and the Bordeaux varieties. Furthermore, selected hybrids like Vidal and Marechal Foch are also allowed for wine production as per the Canadian wine appellation.